The story of the Collaborative movement begins with the founder: Stu Webb, of Minneapolis, Minnesota. Stu practiced traditional family law for more than twenty years when, during the late 1980s, he became interested in mediation and alternate dispute resolution. Stu’s challenge was to craft a way to bring the particular talent of lawyers as problem-solvers into a “settlement only” process for family law representation. From this insight, Collaborative Law was born. In 1990, Stu announced to his clients and colleagues that he would no longer go to court; he would only represent clients in a participatory negotiation process aimed solely at creative settlements. If the process could not result in settlement, Stu would refer his clients to litigation counsel and withdraw from the matter. The Collaborative Law concept quickly spread beyond Minneapolis and arrived in California in 1993, when lawyers from San Mateo County met Stu Webb for the first time at a national conference. By early 1994, family lawyers in northern California had begun practicing Collaborative Law. They broadened the model to include financial specialists and mental health professionals. According to the International Academy of Collaborative Professionals more than 22,000 lawyers have been trained in Collaborative Law worldwide, with collaborative practitioners in at least 46 states. Collaborative practice has now spread to over 20 countries. In Michigan over 300 professionals have been trained in the Collaborative method through the Collaborative Practice Institute of Michigan. A bit of local history………………. Collaborative Divorce Practice in the greater Traverse City area had its initial beginnings after five attorneys were trained at Collaborative Practice Institute of Michigan sponsored training in May of 2007. In 2009 we grew to include mental health professionals and financial specialists. 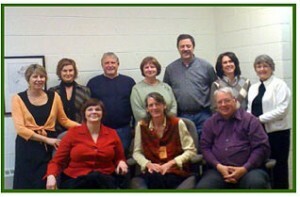 The first meeting of Up North Collaborative Divorce Professionals was held on May 22, 2009. We have met each month since that date. Several collaborative divorces have now been completed and have been finalized in court. The participants have expressed satisfaction with the outcomes. The professionals have found the experiences rewarding. The judges have been receptive to reducing the waiting period for entry of these Judgments by the amount of time spent in the collaborative process before the filing of the Complaint for Divorce. Divorce can be very difficult. The collaborative model makes it more humane.